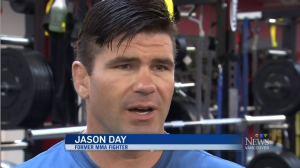 John Cameron’s successful representation of aspiring MMA fighter Jason “Dooms” Day, was covered by the Vancouver Sun and CTV News. Jason “Dooms” Day was awarded nearly $340,000 after being hit by a Range Rover while riding his bike across Oak Street at 10th Avenue in Vancouver. Click the thumbnail to view coverage.